Haha! 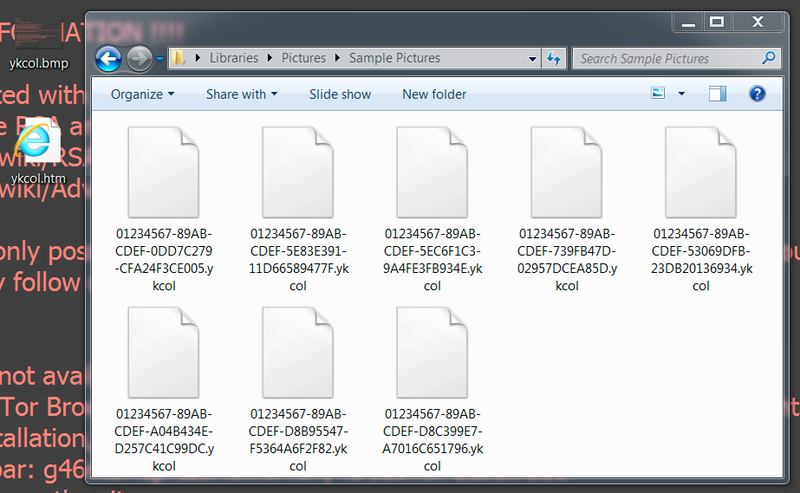 "ykcol" is "locky" spelled backwards. As usual, plenty of people have seen this malspam and have tweeted about it. I've always understood this to be from the Necurs Botnet. If that's not the case, please let me know. No post-infection traffic was noted from my infected Windows hosts today. Ransom cost is now at 0.25 Bitcoin. Locky used to charge 0.5 Bitcoin for a very long time This change probably reflects the rise in value of Bitcoin during the past few months. 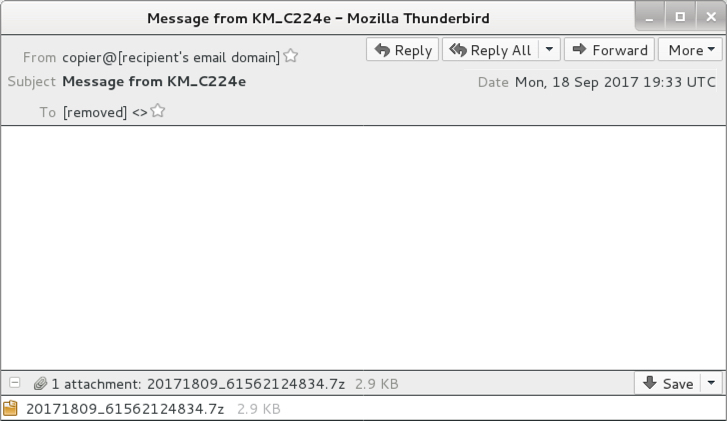 Shown above: Screen shot of an email from the 1st wave. 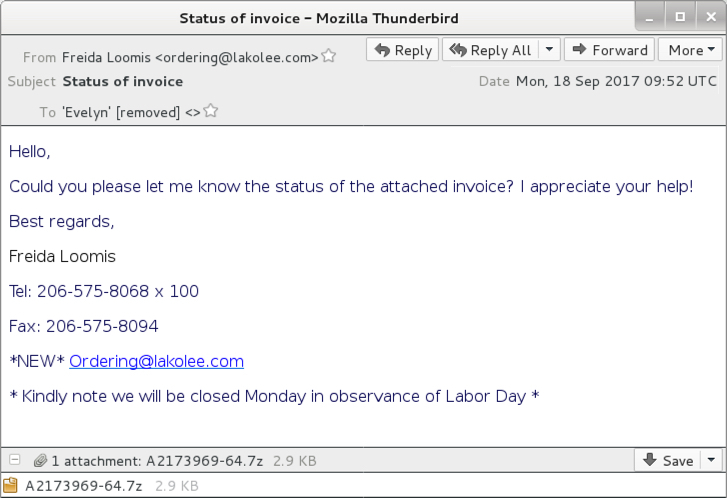 Shown above: Screen shot of an email from the 2nd wave. 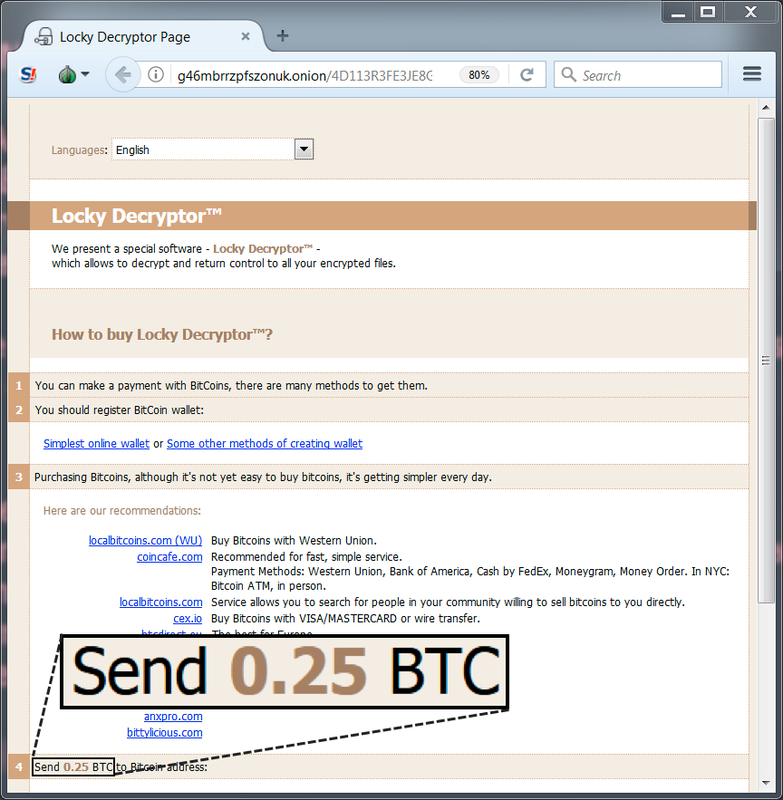 Shown above: Locky Decryptor, where is looks like the ransom cost is .25 Bitcoin now.